The Hindu mythology features two great epics-the Ramayana and the Mahabharata. While both of them are stories of conquest of the good over the evil, the Mahabharata is the story of the great battle between the Kauravas and the Pandavas. It says all about bravery, righteousness, truth and devotion towards family. 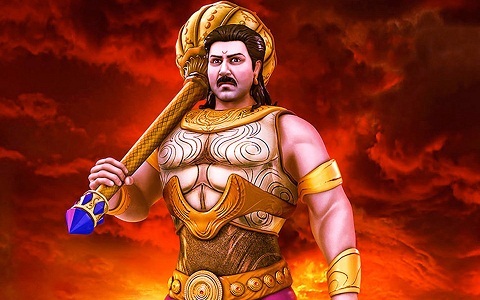 One of the best characters in Mahabharata Gatha is Vidura, the adviser in the kingdom of Hastinapur, who was loyal to the Pandavas during the battle as he wanted to side with the right. 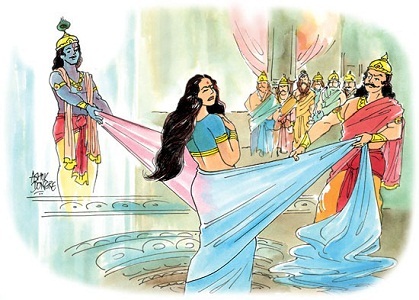 He was one of the people who objected to the humiliation of Draupadi in the Kuru court. 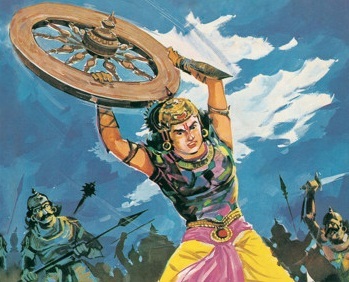 Abhimanyu was the son of Arjuna and Subhadra, who was amongst the bravest of the warriors in the battle of Mahabharata. 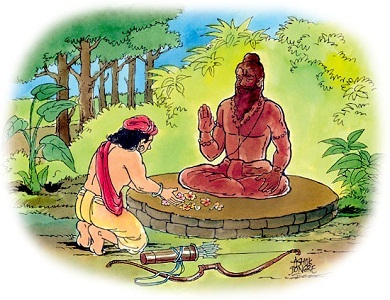 He was able to break the Chakravyuha during the war, but was killed after doing so. Dronacharya is another name among the best characters of the Mahabhrata Gatha. This brave teacher of Kauravas and Pandavas dedicated his life in the service of Hastinapur and fought for the Kauravas even on knowing that they were wrong. Drapuadi, the wife of the Panadavas, is another important character in Mahabharata and the real cause for the battle of Mahabharata. Despite being wronged by having to become wife of five husbands, Draupadi was devoted to all of them. Bhima is the strongest and the bravest among the Pandavas, who is known for his undying love and devotion towards his mother and brothers. He is also known for his anger and always stands in objection to the wrong doings of the Kauravas, but is stopped by Yudhishthira every time. Another key character in the Mahabharata is Karna, who is the half brother of the Pandavas, but a loyal friend of Duryodhana. He suffers because of being loyal to the wring man, but is known as one of the bravest and the most charitable character in the epic. 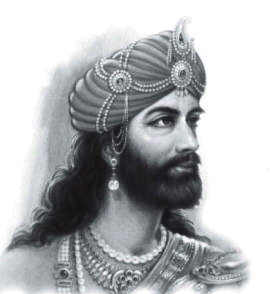 Next among the best characters in the Mahabharata Gatha is Yudhishthira, the eldest of the Pandavas. He is called the Dharmaraaj because of his love for righteousness and truth. He is an obedient son and doting brother, but loses his wife in a gambling game, which is the weakest point of his character. 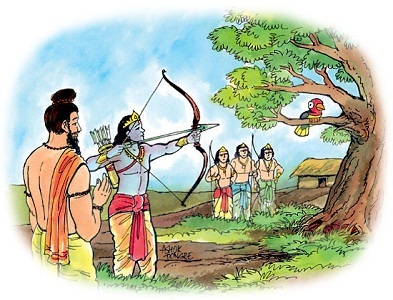 Arjuna is the best archer in the world, besides being the most favorite disciple of Guru Dronacharya. He is a devoted brother and a loving husband, but is bound by family ties, which is why he accepts sharing his wife Draupadi with his brothers on the orders of his mother Kunti. 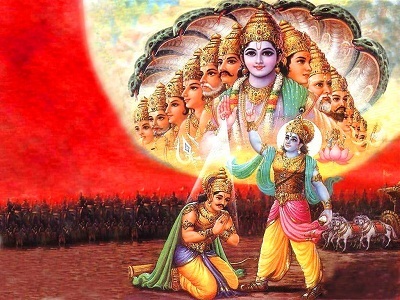 He also wins the battle of Mahabharata for the Pandavas, by adopting the teachings of Lord Krishna. Lord Krishna appears as the wittiest characters in the Mahabharata Gatha, in which he shows a multi faceted personality. 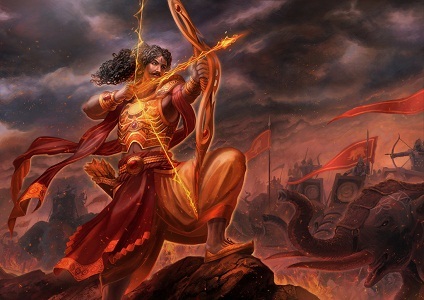 He is the one who shows the path of righteousness to Arjuna in the battle and guides him that killing his kin will not be wrong, as it is necessary to bring the evil Kauravas to their end. 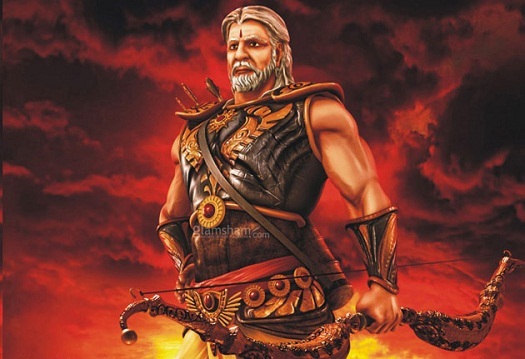 Bhishma Pitamah is considered as the central character of the Mahabharata Gatha, who dedicated his entire life towards the betterment of Hastinapur. His loyalty can be judged from the fact that he supported the Kauravas in the battle of Mahabharata, even when he knew that they were wrong. He sacrificed his life and died on a bed of arrows, because he wanted the battle to go in the right way. 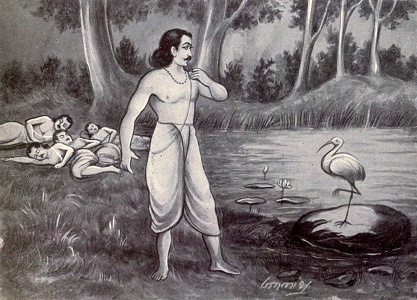 Eklavya, Ghatotkacha, Nakul and Sehdev are some other positive characters in Mahabharata Gatha. All these characters are guiding stars for mankind in the modern world too.